Celebrating the final week of our fabulous SALE, we’ve added extra lines and further reductions, just for you! Clapham Black Laser CutHere’s your chance to snap up a pair of our best-selling Clapham loafers. These ones have laser cut out detailing, making them the perfect summer staple. Our white hot Harrow ballerinas with glamorous gold toe detail have joined the Summer Sale for its final countdown and are the perfect fusion of elegance & unbelievable comfort. 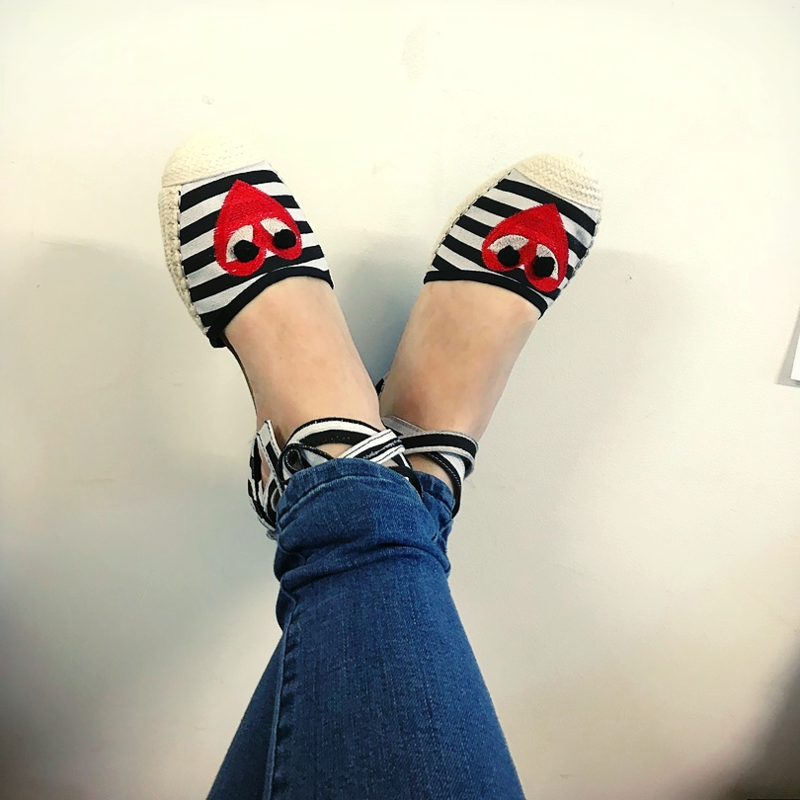 Striped with Heart Espadrille ease meets statement sass. Our fun & flirty Maida Vale espadrille sandals are an absolute summer and holiday must-have and totally Instagram-worthy!